One of the hottest and debated topics in Tamil Nadu now is about the possibilities of Rajinikanth and Kamal Haasan's political entry. Behindwoods recently had an interview with Nanjil Sampath of AIADMK, who responded to this question. He said, "Kamal Haasan is a youngster, who can bring so much of laurels to the field of cinema. My question is that, why should he come to politics when there is cinema for him? Actors shouldn't come into politics. Jayalalithaa, was an actress who came to politics, agreed, but today, the scenario is different. Rajini is not even qualified to become a politician. A politician should have the basic urge to uplift the lives of common people, which he doesn't have. 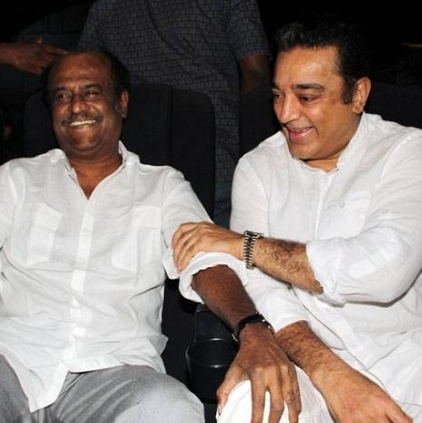 Kamal Haasan at least has the knowledge, but Rajini doesn't have even that. So, they shouldn't come to politics." People looking for online information on Kamal Haasan, Rajinikanth will find this news story useful.